A global community of academics, advocates, and diplomats has grown around the ICC, generating discussion, advocacy and analysis. This is particularly true among three of the members of the P-5: the United Kingdom, France, and the United States, only the first two of which are parties to the Rome Statute. 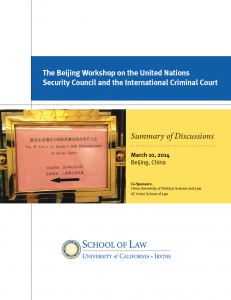 Yet while the governments of Russia and China have remained non-party observers (like the United States) of the activities of the ICC, until recently neither they nor Russian and Chinese academics and analysts have been actively engaged in international discussions about the Court and its relationship with the Council. The Council and the Court urged those organizing discussions about the UNSC-ICC relationship—and, more generally, about broader support for the work of the ICC—to find ways to involve Russian and Chinese voices. 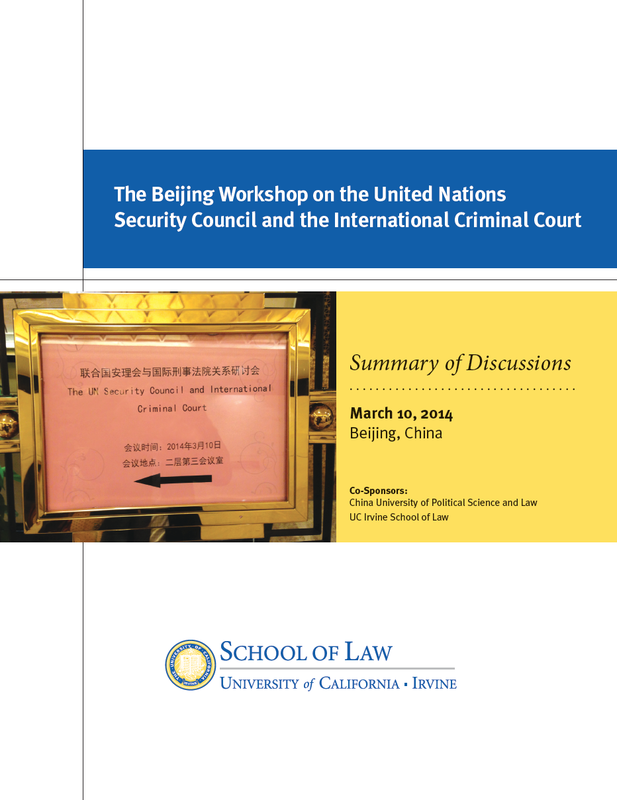 Download the Beijing Workshop Proceedings. The participants acknowledged the Security Council’s increased reference to the ICC when discussing international peace and security. UNSC Resolutions regularly support a role for the ICC. In 2012, the UNSC devoted a full day’s open meeting to discussing—and often praising—the ICC. Nonetheless, participants voiced concerns and criticisms about the current practices of both the Council and the Court and their relationship with one another. Looking at the subject from legal perspectives as well as political ones, participants explored the value and risks of a strong UNSC-ICC relationship. For instance, participants generally reflected the assumption that the UNSC is a political body while the ICC is a judicial one. Their legal separation aims to ensure the integrity of the ICC. But that same separation has a downside. The ICC does not have enforcement mechanisms independent of either the cooperation of states parties mandated by the Rome Statute, which is not always followed, or the cooperation of non-party states when encouraged by the UNSC. The UNSC also has some influence over the situations in which the ICC exercises jurisdiction: the UNSC can refer situations to the ICC or defer proceedings under the Rome Statute. It was suggested a number of times that the adoption of amendments to the Rome Statute pertaining to the crime of aggression, at the 2010 Kampala Review Conference, may complicate the relationship. The participants touched upon the influence exerted by principles of national sovereignty and non-interference, traditional pillars of Chinese foreign policy. Participants addressed questions about the ways in which the ICC becomes involved in a state’s domestic affairs. Should the ICC have the power to seek the arrest of heads of states? How, and by whom, is a state determined to be “unable or unwilling” to genuinely investigate these crimes? The governments of China and the United States share concerns about the ICC having jurisdictional reach over nationals of states not party to the Rome Statute, but for different reasons. Many participants believed that the United States is concerned about exposure because of its military presence abroad while China is concerned about international tribunals interfering with domestic affairs. Participants turned regularly to issues of non-cooperation, with significant attention given to the fraught relationship between the ICC and the African Union (AU). The AU’s disapproval of cooperation with certain ICC requests is an example of this. It was suggested that the AU sees the ICC as a political tool of the UNSC. The UNSC’s selective uses of referral and deferral powers, it was argued, exacerbate this view. The AU-ICC-UNSC triangle was also seen as an example of the broader clash between political and judicial bodies. The discussions held at the Beijing Workshop are summarized in the panel reports included as part of the proceedings report.